Listen, if Harley Pasternak tells me all I have to do to stay in shape is get in some steps, then I’m definitely going to try it. Actually, this celebrity trainer’s go-to weight-loss tip is truly just to go for a walk. And while he firmly believes you should aim for 10,000 steps a day, don’t be discouraged if you’re below that (me! ), because Harley has a plan to increase your steps. I tried this ultimate walking plan to see if it was doable and how I’d feel, and it actually went better than I thought it would. Check it out. What Is Harley’s Walking Plan? Harley’s plan to increase your steps for weight loss is incredibly simple. You start at your baseline of steps and for the first week of the month, you add 1,000 steps per day. For week two, you add another 1,000 steps. It’s the same with weeks three and four, so at the end of the month, you’ve added 4,000 steps to your day compared to where you started. Like I said, Harley assumes your plan starts at 10,000 steps, because he wants everyone to be walking at least that many per day, but realistically, I knew I wasn’t walking nearly that many. The first thing I did was buy a step tracker, because I didn’t own one and the health app on my phone has never worked properly. I got this Zunammy ($11) at Target and it served me well. On the day before I started the plan, I went through my typical day to see where I landed on step count, which was right around 5,000, give or take a few steps. So 5,000 was my baseline, and by the end of the month, I’d have that number up to 9,000 steps per day. Weekends were the worst part of this because I hate leaving my apartment. It’s the only time I have to relax, and I love more than anything to not put on real clothes and truly just stay in bed all weekend. The first two weekends, I was still really excited about this plan, so I bribed myself with a reward for completing my steps. Wouldn’t you know it there’s a Starbucks approximately 3,000 steps away from my apartment? The walk there and back was perfect. 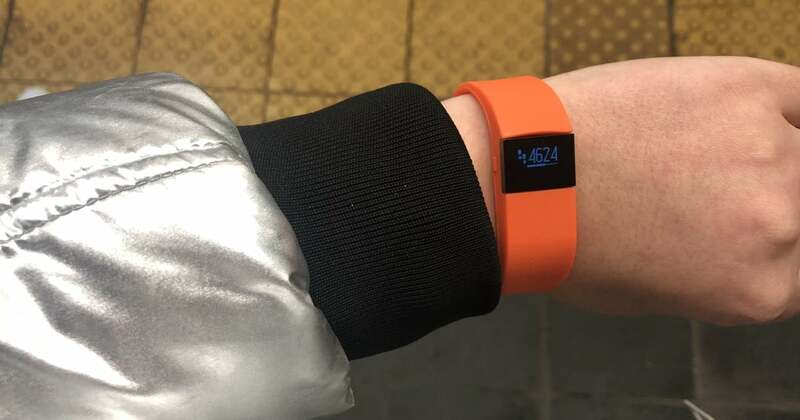 By the fourth week, I was struggling to hit my step count on some days, simply because I was so busy with my day job and my evening job of freelancing. I would have to build in extra time to accommodate for so many more steps, and there was one day I was so close to 9,000, but it was late and I didn’t want to leave again so I walked laps around my apartment. Likewise, I didn’t hit my step count on the final weekend, though I tried. It was rainy and I was tired, so it just didn’t happen. I felt so good overall from adding the extra steps to my routine. I’m not sure I lost any actual weight (I’m in a fight with my scale right now), but I felt a lot better. And the one or two days where I missed meeting my goal, I could feel it. I also found that walking extra made me feel rejuvenated during the day and actually helped me sleep a little bit better at night. As someone who is incredibly bad at sleeping, I’ll take any help I can get. Not to mention I’ve grown quite fond of my step tracker’s goal notification. The little buzz that it gives me makes me feel like a champion. So I’ve decided to lower my step goal slightly until I feel like I can master that number (7,500), and then I’ll ultimately bump it up to get 10,000 steps a day.